Pledging allegiance to the international flag of our planet could become a worldwide practice with this exciting design of a flag for Earth. A new project by Oskar Pernefeldt, a graduate-to-be from Beckmans College of Design in Stockholm, Sweden, sees a new flag for the entire planet emblazoned in scenes around the world – and beyond. The minimalist design of the flag shows seven rings intertwining on a deep-sea-blue background, forming a flower in the flag’s middle. Simple but contemporary, the flag evokes the natural beauty of the Earth. If you can’t imagine such a flag in use, Pernefeldt’s got you covered. 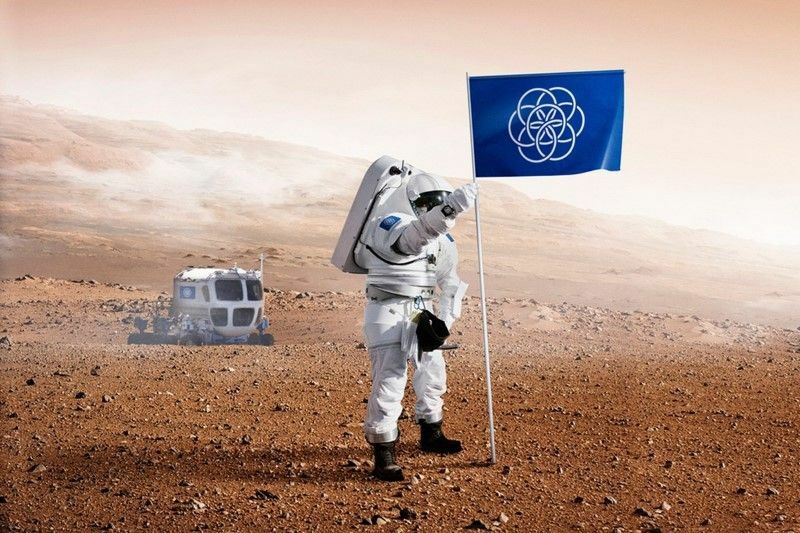 In stunning scenarios envisioned by Pernefeldt, the flag could be part of an astronaut’s space suit, displayed proudly outside homes and waved at sporting events. Here’s how Pernefeldt constructed the as-yet-still-unofficial flag for planet Earth.